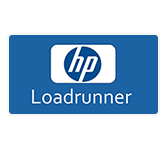 Loadrunner is a widely used Load Testing tool from HP. HP LoadRunner is a testing tool from HP to be used for performance testing of an application. The tool is mainly designed to create a specific load on the application. This tutorial covers basic concepts of performance testing and how to perform testing with loadrunning tool. This LoadRunner tutorial is most suitable for manual tester with prior experience in performance testing. This tutorial is useful for testers and developers to know how the application behaves under various load conditions. To learn this tutorial you should have basic knowledge of Performance Testing and knowledge of why we need to test the performance of any application. Having understanding about various modules in LoadRunner may helpful.